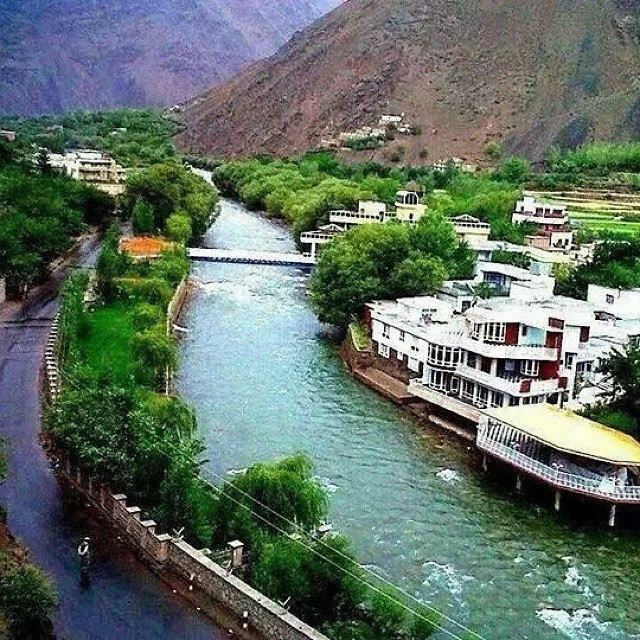 Panjshir (Persian: پنجشیر‎‎, literally "Five Lions", also spelled as Panjsher) is one of the thirty-four provinces of Afghanistan, located in the northeastern part of the country. The province is divided into seven districts and contains 512 villages. As of 2013, the population of Panjshir province is about 146,100. Bazarak serves as the provincial capital. 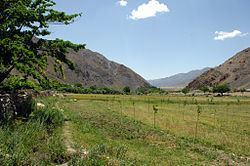 Panjshir became an independent province from neighboring Parwan Province in 2004. 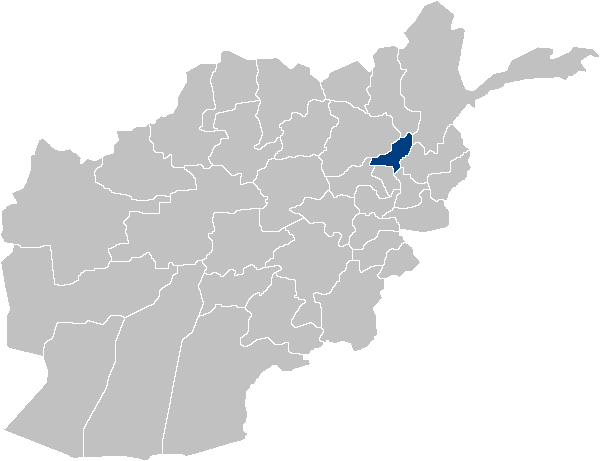 It is surrounded by Baghlan and Takhar in the north, Badakhshan and Nuristan in the east, Laghman and Kapisa in the south, and Parwan in the west. The territory was ruled by the Khanate of Bukhara between the early 16th century and the mid-18th century. It was given to Ahmad Shah Durrani by Murad Beg of Bukhara after a treaty of friendship was signed in or about 1750, and became part of the Durrani Empire. It was ruled by the Durranis followed by the Barakzai dynasty, and was untouched by the British during the 19th century Anglo-Afghan wars. In 1973, while King Zahir Shah was on a special visit in Europe, his cousin Daoud Khan took over power and began threatening to invade Pakistan's Khyber Pakhtunkhwa. This was supported by the People's Democratic Party of Afghanistan (PDPA) but caused great anxiety in Pakistan. By 1975, the young Ahmad Shah Massoud and his followers initiated an uprising in Panjshir but were forced to flee to Peshawar in Pakistan where they received support from Pakistani Prime Minister Zulfiqar Ali Bhutto to create unrest in Afghanistan. Bhutto is said to have paved the way for the April 1978 Saur Revolution in Kabul by making Daoud spread the Afghan Armed Forces to the countryside. Pakistani objective was to prevent Afghan invasion. The Panjshir region was well defended during the 1980s Soviet war in Afghanistan. After the collapse of the Democratic Republic of Afghanistan in 1992 the area became part of the Islamic State of Afghanistan. By late 1990s, Panjshir and neighboring Badakhshan province, served as a staging ground for the Northern Alliance against the Taliban government. On September 9, 2001, Defense Minister Massoud was assassinated by two al-Qaeda operatives. Two days later the September 2001 attacks occurred in the United States and this led to the start of a major U.S.-led war in Afghanistan. 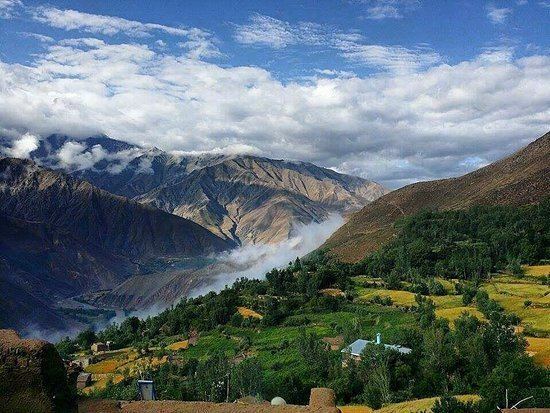 Containing the Panjshir Valley, in April 2004 Panjshir District of Parwan Province was turned into a province under the Karzai administration. 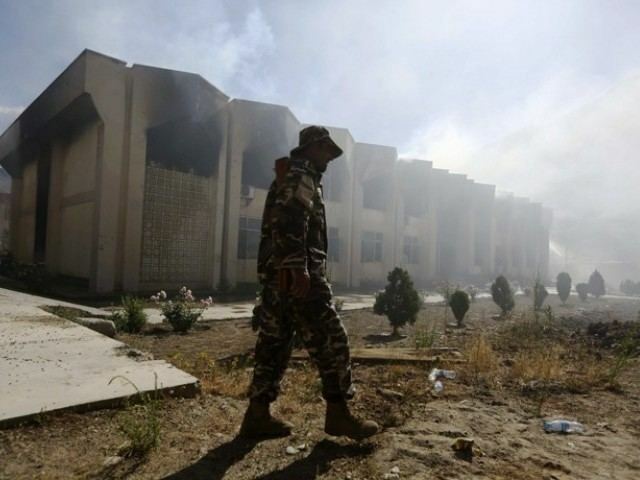 The Afghan National Security Forces (ANSF) established several bases in the province. In the meantime, the International Security Assistance Force (ISAF) also established bases, a US-led Provincial Reconstruction Team (PRT) began operating in Panjshir in the late 2000s. As of 2012, security in the province is maintained by the Afghan National Police and the Afghan National Army. The current Governor of the province is Engineer Mohammad Arif Sarwari. His predecessor was Keramuddin Keram. Bazarak is the capital of Panjshir province. All law enforcement activities throughout the province are handled by the Afghan National Police (ANP). A provincial Police Chief is assigned to lead both the ANP. The Police Chief represents the Ministry of the Interior in Kabul. The ANP is backed by the military, including the NATO-led forces. During the parliamentary elections of 2005, Saleh Mohammad Registani was elected as the only male representative of the Panjsher province to Afghanistan's House of Representatives or Wolesi Jirga. The percentage of households with clean drinking water increased from 16% in 2005, to 17% in 2011. And as many as 23% of births in 2011 were attended to by a skilled birth attendant. The overall literacy rate (6+ years of age) fell from 33% in 2005 to 32% in 2011. The overall net enrolment rate (6–13 years of age) fell from 42% in 2005 to 40% in 2011. Four Technical and Vocational Education and Training (TVET) schools service the agriculturally-oriented Panjshir Province, including the Ahmad Shah Massoud TVET. The school was established with the help from the Hilfe Paderborn and German Foreign Office and has about 250 students and 22 staff members (as of August 2014). According to the Institute for the Study of War, "Tajiks form the majority of the population, but there are small numbers of Hazaras and Pashtuns as well." Dari (Afghan Persian) is the dominant language in the province. All inhabitants are followers of Islam, and exclusively Sunni while the Hazaras of other parts of Afghanistan are mostly Shias (Shiites). The tomb of Ahmad Shah Massoud, known as the "Lion of Panjshir", is located in Saricha, Bazarak, Panjshir.